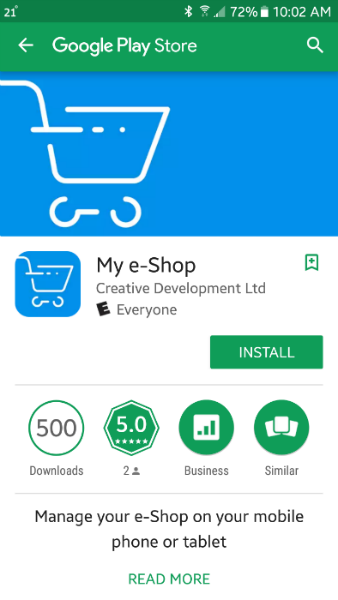 The My e-Shop mobile app allows you to manage your store's sales and upload new products through your mobile device. 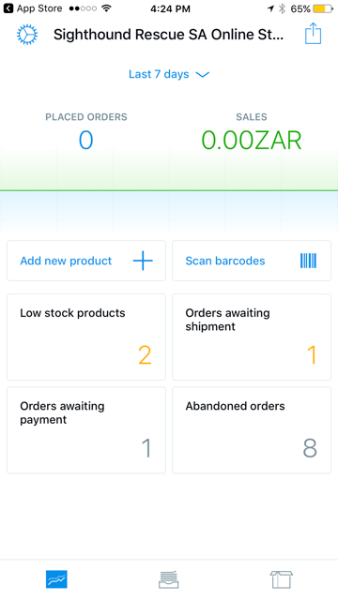 View all the necessary order details: ordered products, product options, customers billing, and shipping addresses, etc. 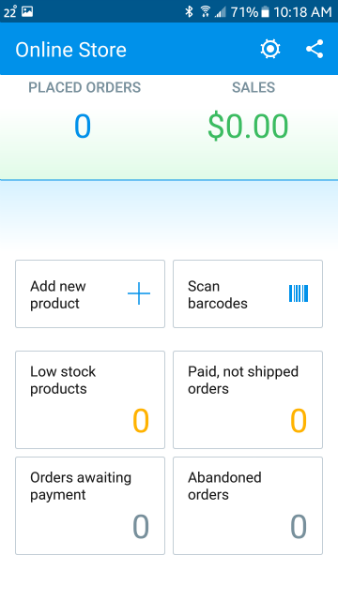 Change order statuses and assign tracking numbers. Call or email customers right from the order details page. 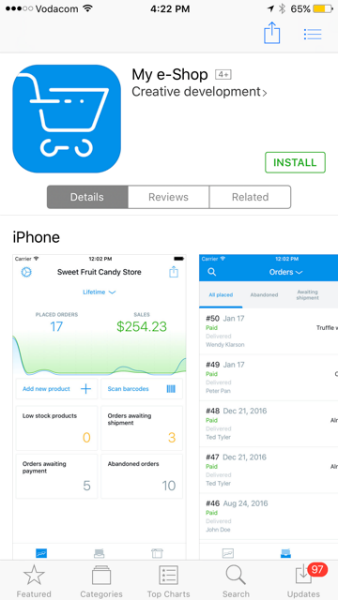 View unfinished sales and complete them manually right from the app. Enhanced security: protect your customers' sensitive info using a passcode lock. 2. 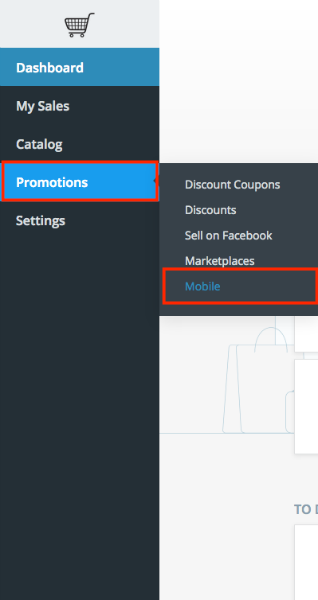 Click Promotions > Mobile. 3. Click the Get the App button. 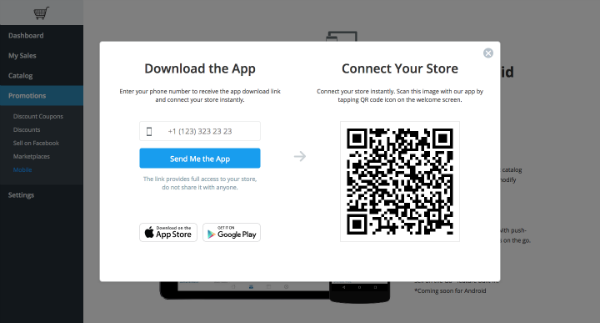 There are two ways to get the Online Store app. 2. Click the Send Me the App button. 3. You will receive a text message which contains a link. Click on the link provided. 1. Scan the QR code icon with a QR code reader on your device. 2. Follow the prompt to open the URL link. Once you've arrived on the app page, click the Install button. 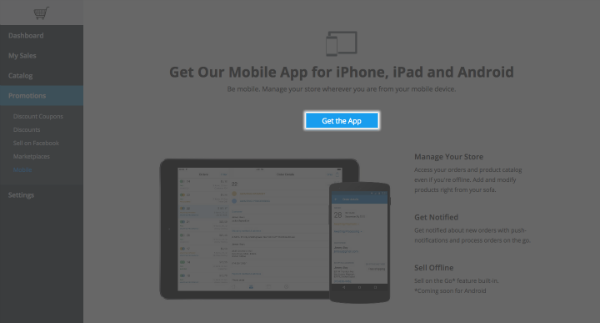 Once the app is installed, you will have access to your Online Store.